Green Tea vs. Black Tea: Which One Is Healthier? Tea is one of the most popular drinks in the world and easily accessible in almost every corner of the globe. Close to 80% of American households have tea stored somewhere inside their kitchen cupboards. Tea comes in thousands of different varieties with seemingly endless flavors, aromas and histories. That endless variety can make deciding which tea is best for your health and taste buds quite the challenge. Even the true teas such as green tea and black tea have multiple varieties that vary in flavor and composition. Regional, cultural and traditional differences can result in contrasting flavors of the same tea genre. 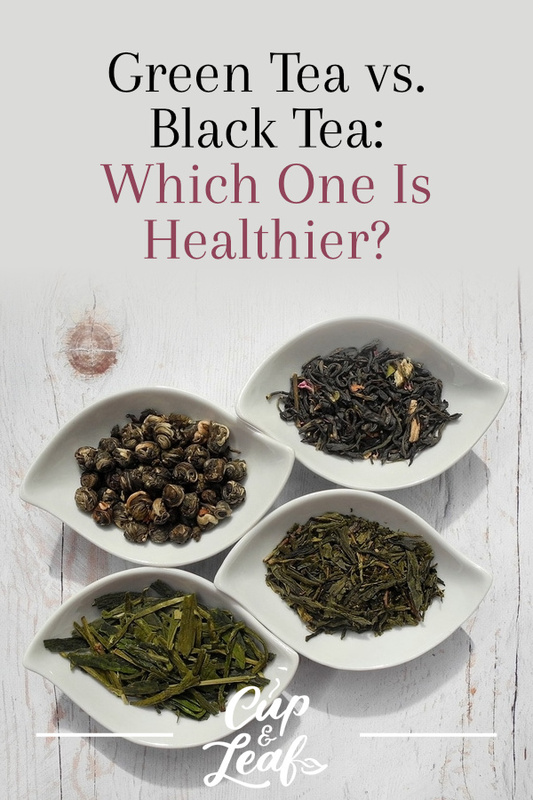 Here, we've broken down the differences and health benefits of green teas and black teas so you can decide which one suits your lifestyle. Green tea is derived from the tea plant known as Camellia sinensis. This evergreen plant is native to India and China where it has been used for centuries in traditional medicine. In modern times, the tea plant is cultivated all across the world from Japan and China to South America and Europe. All true teas including green tea, white tea, black tea and oolong tea are created form the leaves of the same plant. The difference between these teas arises during the production process. Green tea is not oxidized in any way during production. The leaves are simply harvested from the tea plant and heated to prevent withering and oxidation. Leaves are typically pan-fired or steamed and retain a green hue that is most similar to the tea plant itself. In Asia, tea consumption and production is an art form. 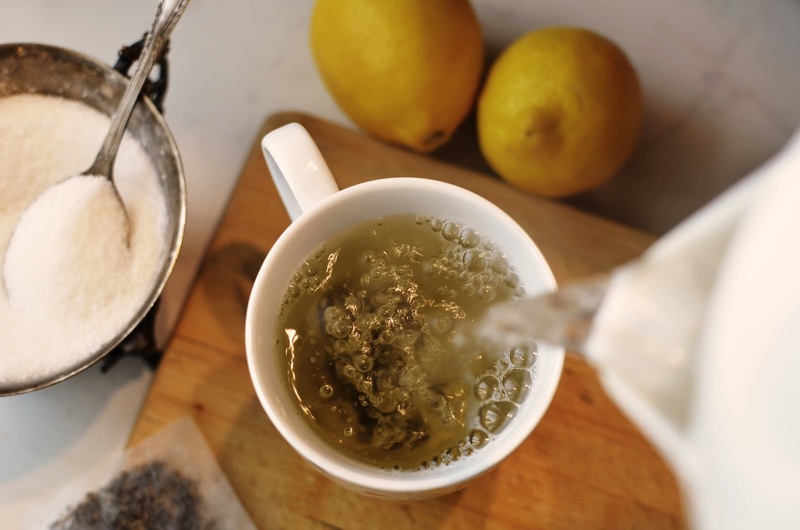 There are thousands of factors that impact the flavor, taste and type of green tea. The region in which the tea plant is grown, the amount of rainfall the plants receive and the different artisanal production processes can all contribute to unique flavor profile and green tea types. In general, there are two main subsets of green tea—those that come from China and those that come from Japan. China is the largest producer of green tea with tea gardens that stretch from the coast and the highlands to the mountains. Typically, tea makers hand harvest only the youngest leaves and buds to prepare green tea. Green tea leaves are then dried in a variety of artisanal methods. Some producers dry the tea leaves using just the sun, while others pan fry them. For Chinese green tea, the leaves are almost never steamed. After drying, the leaves are styled and prepared for packaging. The most popular type of Chinese green tea is Long Jing, also known as Dragonwell. Long Jing green teas land at the higher end of the quality and price spectrum. The harvest for these tea leaves takes place for less than one month each year. Long Jing green teas is a jade color when brewed, features a nutty and vegetal flavor and offers a smooth finish. This tea is popular at high-level events and was the tea served to Richard Nixon in 1972 during his historic visit to Communist China (1). Another popular green tea is gunpowder green tea. Tea artisans gently shape the green tea leaves into small pellets that mimic the look of gunpowder grains. This tea was first produced by the Tang dynasty and it is one of the few Chinese green teas that are steamed, not pan fired. The leaf pellets expand when steeped in boiling water, resulting in an infusion of bold, slightly minty flavors. In Japan, producers prefer to steam dry the tea leaves rather than pan fry them like their Chinese counterparts. Green tea leaves are grown in the shade in Japan to help preserve chlorophyll that gives these teas a vibrant green hue. Japanese green teas contain high concentrations of amino acids that lend an umami flavor to the tea. Tea leaves are harvested by machines rather than by hand. The most popular types of Japanese green tea include matcha green tea and Gyokuro. Matcha is a green tea powder that contains the entire leaves of the tea plant. This tea packs a punch when it comes to health benefits since it contains all the antioxidants and chemical compounds found in green tea leaves. Gyokuro is the most exported green tea from Japan and features an emerald green color. This tea offers a rich body and satiny feel with savory and sweet flavors. Green tea contains between 25 to 35 milligrams of caffeine with the exception of matcha green tea, which contains between 40 and 60 milligrams of caffeine. Green tea is often recommended as a substitute for coffee, but this isn't just because it contains caffeine. Green tea leaves have a chemical compound known as l-theanine. This chemical offers increased awareness and mental acuity without the jittery side effects of caffeine. Green tea's ability to make your feel alert and awake is more steady than coffee without any spikes and plunges in energy. Just like green tea, black tea is made using the leaves of the Camellia sinensis plant. Black teas mainly come from three tea-producing countries: China, India and Sri Lanka. In China, black teas are cultivated in the Anhui and Yunnan provinces. 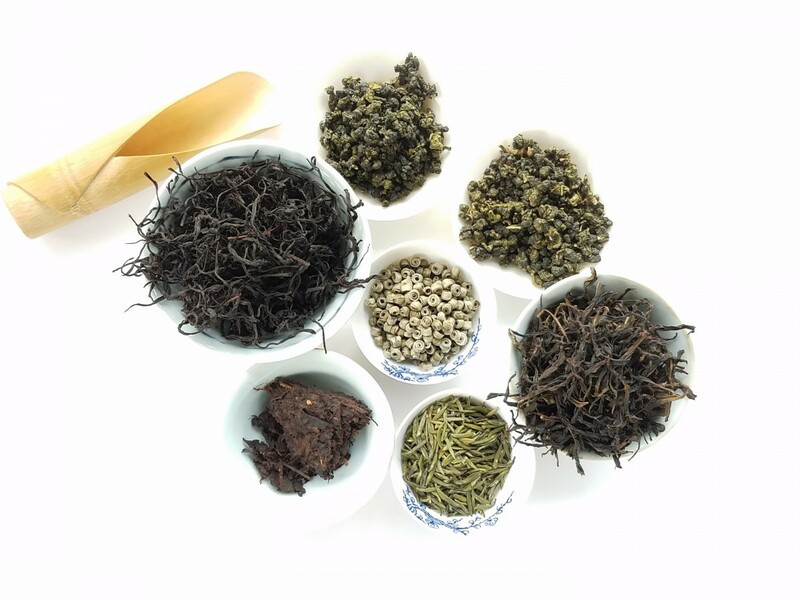 Most Chinese black teas feature whimsical names such as Fairy Branch, which do not indicate which region it was grown in. In India, black tea is produced in the Assam, Darjeeling and Nilgiri regions. Indian black teas are often named after their growing region, making them easy to identify. Ceylon black tea comes from Sri Lanka, which was formerly known as Ceylon. The main difference between green and black tea arises through the production process. While green tea is not oxidized, black tea undergoes the most complete oxidation process of the true teas. Black tea leaves are harvested and then withered to reduce moisture content. The leaves are then rolled to create miniscule breaks in the leaves that allow enzymes to interact with oxygen. Black tea leaves are rolled either by hand or using a machine, depending on the producer and type of tea. Rolled leaves are then spread out on large trays where oxygen turns the leaves black and the final step in the production process begins. The black tea leaves are fired in ovens to stop the oxidation process and are then packed for sale. Black tea is the most popular tea in the western hemisphere and there are several types that have earned critical acclaim. 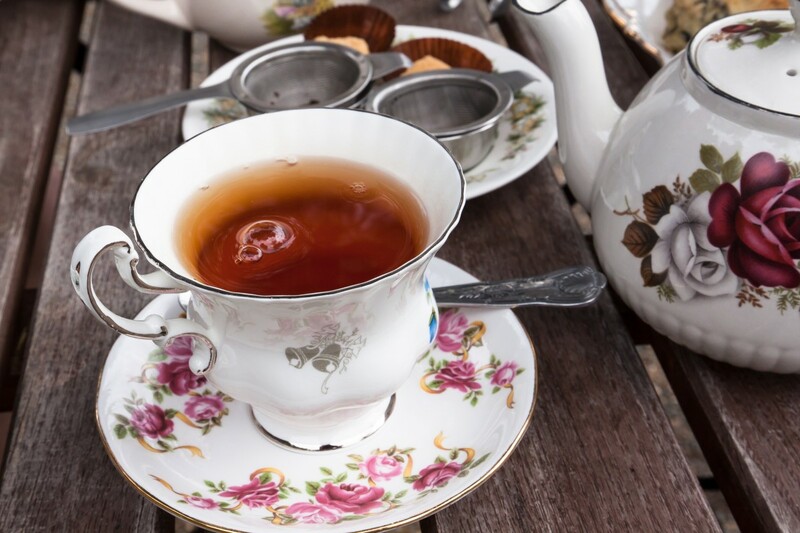 Black breakfast teas are widely adored in Britain, with Earl Grey leading the charge. Earl Grey teas are black teas that are infused with bergamot, which gives these teas a slight citrusy flavor. Indian black teas offer a wide flavor profile that ranges from malty to floral. Assam black teas offer a bold, malty flavor that is similar to chocolate and ends with a brisk finish. Darjeeling black tea is more delicate with fruity and floral flavors and a light finish. Nilgiri black tea is also floral, but slightly more fragrant than Darjeeling varieties. Sri Lankan black teas such as Ceylon black tea can vary depending on which region it is grown in. 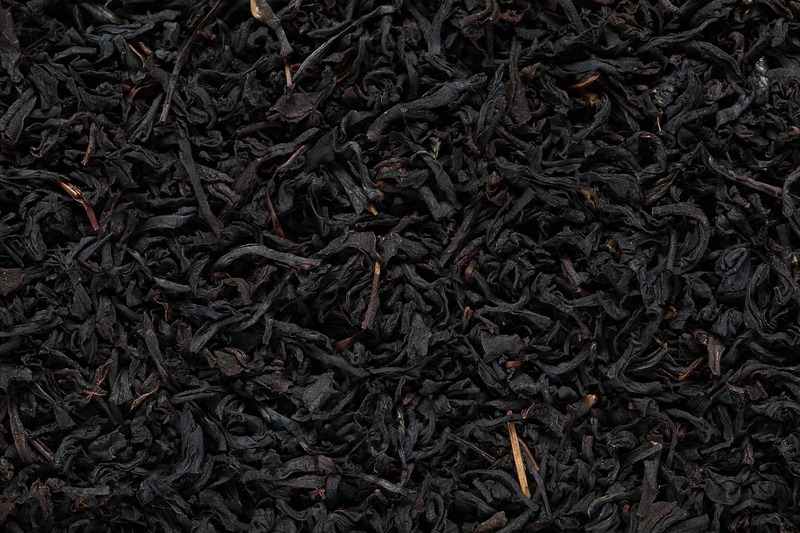 Overall, Ceylon black tea offers a strong, rich flavor profile that boasts hints of chocolate and spice. 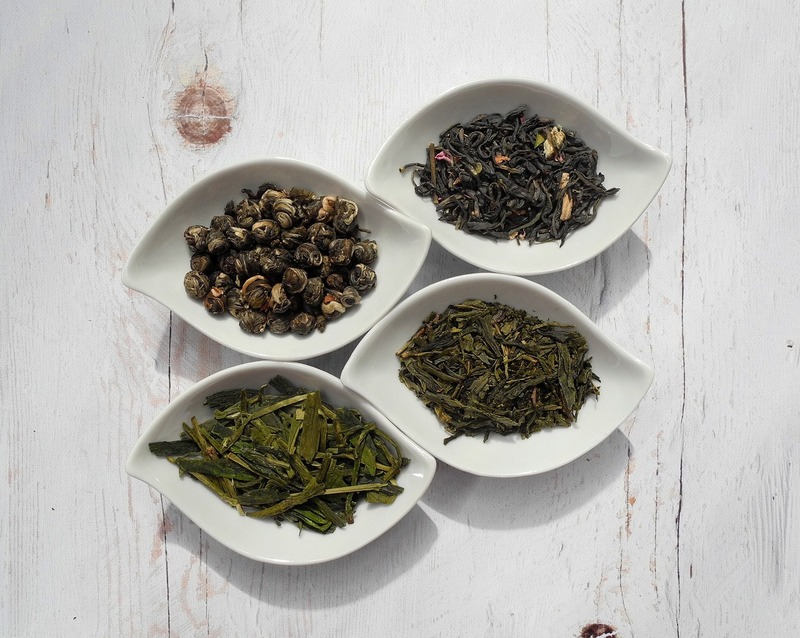 Chinese black teas also run the gamut when it comes to flavor. Black teas grown in the Anhui province are known as Keemun black tea. Keemun tea is similar to wine in terms of fruity flavors, but also features hints of pine and tobacco. 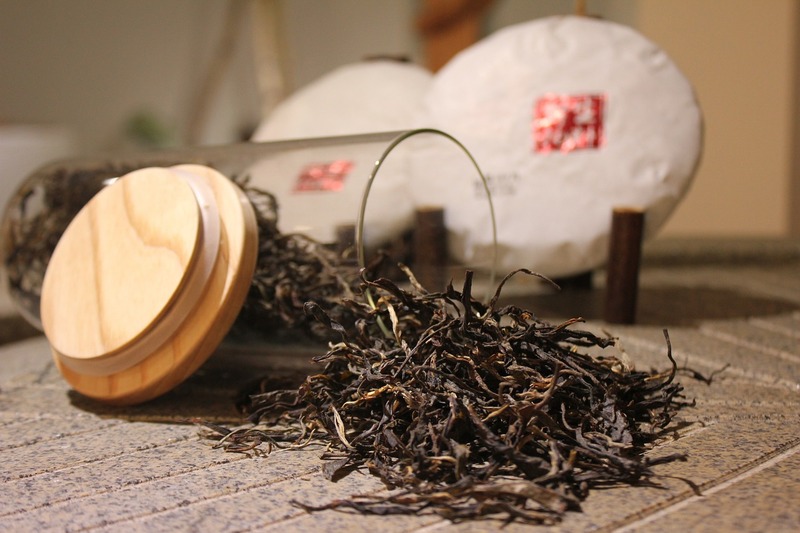 Yunnan black tea is richer than Keemun with spiced, chocolate and malty flavors. Black tea contains 50 to 90 milligrams of caffeine on average. Flavored black teas, such as Earl Grey, or ones that are blended with herbal teas and spices tend to have less caffeine than pure black teas. The caffeine content in black tea also varies largely on soil content, climate and elevation of the tea plant. Black teas made from younger leaves tend to have higher levels of caffeine than those made from older leaves. Green Tea vs. Black Tea: Which Is Healthier? Most people know that drinking tea can be good for your health. But how do you know which one is better for your wellbeing? 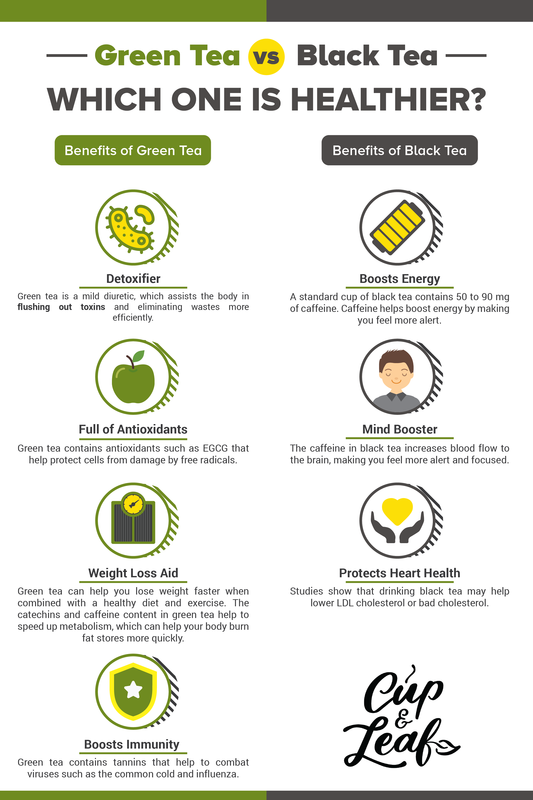 We've put together a brief overview of the powers of both green and black tea so you can decide for yourself. Green teas contain powerful compounds that deliver extensive health benefits. It's most commonly known for its medicinal properties that help to detoxify the body, prevent serious illness and increase weight loss. In a 2015 study, researchers studied the effect of green tea on rats that were exposed to lead poisoning. The rats that were given a green tea supplement showed significantly lower levels of lead poisoning than control groups at the conclusion of the 2-month study (2). This detoxifying effect demonstrates the ability of green tea consumption to eliminate dangerous toxins. Green tea contains antioxidants and catechins that not only help to cleanse your body, but also prevent serious illness. Antioxidants work to eliminate free radicals that can cause premature aging and diseases such as Alzheimer's. 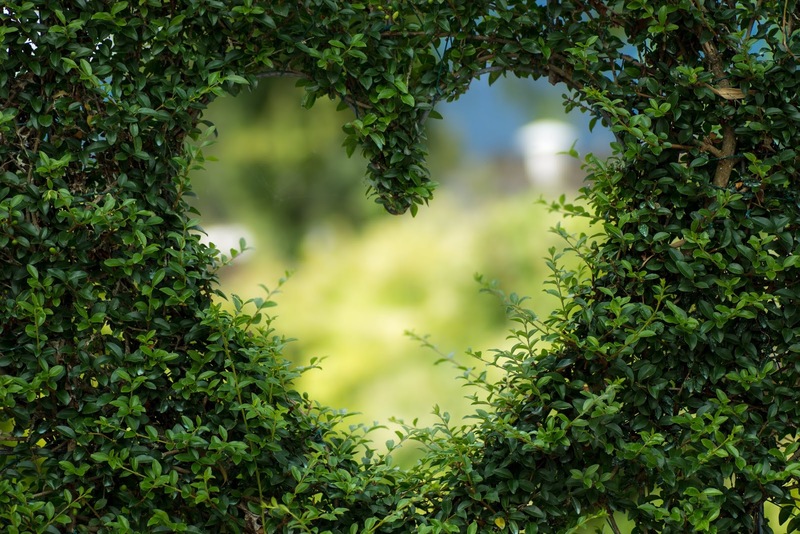 Catechins such as epigallocatechin gallate (EGCG) help to prevent cancer and protect heart health (3). 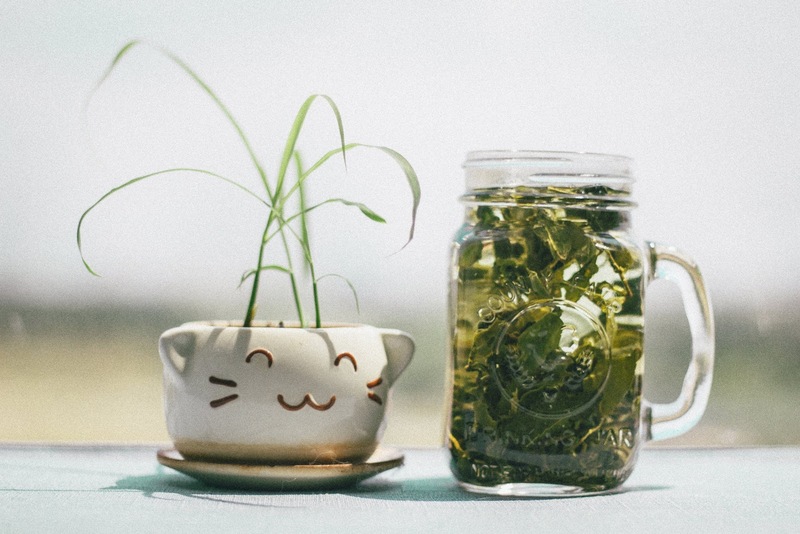 While studies on green tea cancer prevention are ongoing, scientists believe these compounds help to protect cells from mutations that lead to cancer (4). Green tea can also help you lose weight faster when combined with a healthy diet and exercise. The catechins and caffeine content in green tea help to speed up metabolism, which can help your body burn fat stores more quickly (5). These compounds can also help you maintain a healthy weight by making you feel full longer. Green tea is great for boosting your immune system. Green tea contains tannins that help to combat viruses such as the common cold and influenza. Drinking a cup of green tea everyday is a sure way to stay healthy all year long. Black tea offers similar health benefits to green tea although there are differences in chemical composition. Green tea contains more antioxidants and chemical compounds than most black teas. This is because black tea undergoes a fermentation process where oxygen reacts with enzymes and results in the loss of catechins and polyphenols. Although black tea contains fewer of these compounds, it still packs a punch when it comes to health benefits. Black tea, like green tea, can help you lose weight and stay fit. A 2014 study, studied the effects of black tea on weight loss over a three-month period. Participants that drank black tea daily reported increased weight loss (6). Black tea contains higher levels of caffeine than green tea, making it a good choice if you need an extra boost of energy during the day. Black tea increases blood flow to the brain, making you feel more alert and focused. Black tea only contains a moderate amount of caffeine so it won't over stimulate your heart like coffee can. In fact, black tea is good for heart health. People who drink black tea regularly have a lower risk of developing heart disease. Drinking black tea can also help to lower LDL cholesterol, or bad cholesterol. Excessive amounts of LDL cholesterol can lead to serious heart disease and even heart attacks (7). Both green tea and black tea contain powerful compounds that offer a host of health benefits. They both help to keep your immune system healthy, promote heart health and aid in weight loss. Deciding which one works best for you will depend on your specific situation and tastes. Some tea drinkers prefer green tea while others are devoted consumers of black tea. At the end of the day, it really comes down to preference and taste. Just because you prefer green tea doesn't mean you can't drink black tea. The beauty of tea is that you can mix it up anytime you want and the variety of flavors and aromas are almost endless. Try out several different types of black and green tea and see which ones please your palette the most. Experiment with green and black teas from different regions to discover the nuances of each flavor profile. Learning the history behind the different tea varieties can also make the tea drinking experience more comprehensive. 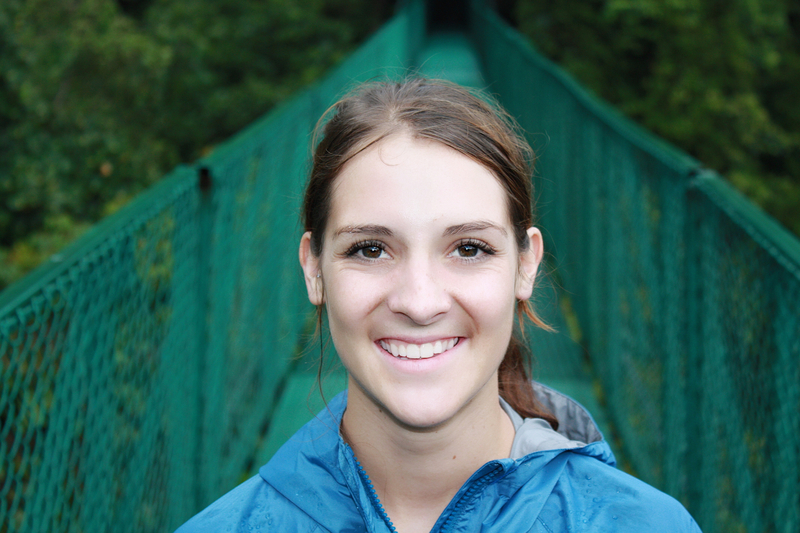 Understanding how small differences in artisanal processes and growth techniques can help you appreciate the different flavors in our tea. Whatever flavors you choose, drink tea and relish the benefits for your mind, body and soul.